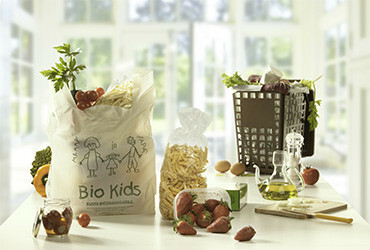 An important application of Mater-Bi® are shoppers or shopping bags. 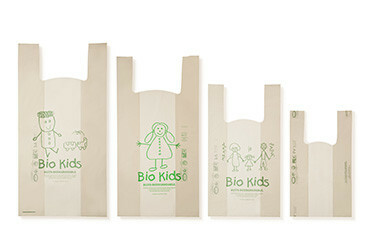 Mater-Bi® bags and shoppers are an efficient alternative to “traditional” plastic ones, since they are certified as biodegradable and compostable and, as such, they can also be reused for the separate collection of organic (wet) waste. In January 2011, Italy enforced an amendment to the 2007 finance act, which banned the sale of traditional disposable plastic shoppers (2007 Finance Act). After publishing Act no. 116 of 11 August 2014 on the Official Journal, the sale or use of non-biodegradable, non-compostable plastic shoppers is fined as from 20th August 2014. The fines enforced by such law range from 2,500 euros to 25,000 euros, depending on how serious the offence. Such a law, in keeping with the European Union’s legislation, responds to the increasing awareness of environmental damage, which is mainly caused by plastic shoppers strewn around.